Live music has been making a come back over the last few years. Easing this come back is the transition of live sound mixing consoles from analogue to digital. Digital mixers have given sound engineers much more flexibility to control sound in many areas. One area is utilising tablet devices to remote control digital mixing consoles. I say tablet devices but it’s currently limited to the Apple iPad. 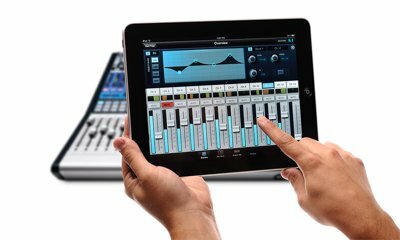 XiControl iPad® for the Behringer X32 console. Sound engineers and PA companies have embraced digital mixing technology. Utilising iPad remote control Apps will help in the industry that constantly demands better sounds. We regularly uses the Yamaha LS9 and sees the StageMix iPad App as an important tool to improve the overall sound quality. A further trend uses an iPad as a digital audio workstation (DAW) control surface. No other controls exists apart from the physical inputs. One such product is the Mackie DL1608 16-Channel Digital Live Sound Mixer with iPad® Control. This product has potential and could possibly herald the beginning of other similar devices, especially at the lower end of the market.